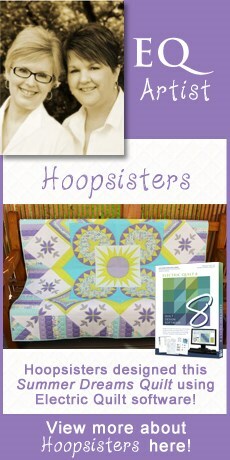 Quiltmaker Jan | Feb Issue: EQ’s Schoolhouse Quilt PLUS Free Download! 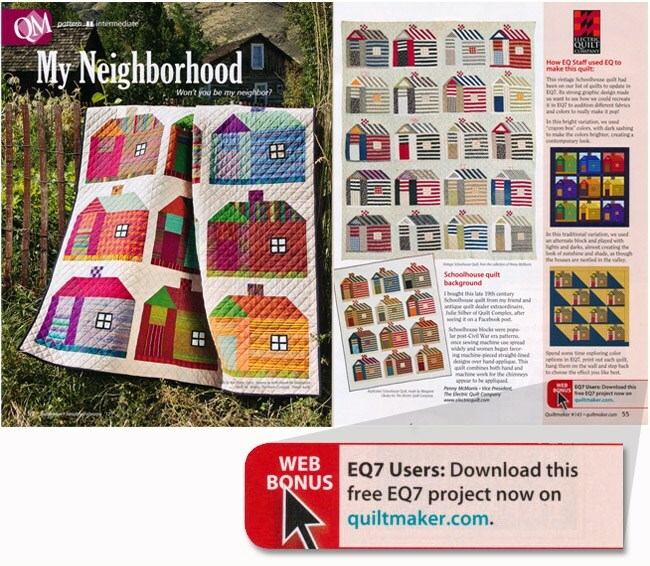 In the Jan | Feb issue of Quiltmaker you will find a schoolhouse quilt inspired by an antique schoolhouse quilt that we updated using EQ7. We like taking some antique quilts that Penny owns and updating them with fresh fabrics and modern quilting techniques in EQ7. We had updated this schoolhouse antique quilt and then sent them to Quiltmaker where they made yet ANOTHER version of this classic quilt! This article provides a lot of ideas and education. You’ll find a mini-EQ7 lesson in the side bar and even better a FREE EQ7 project download of this quilt on the Quiltmaker website! Go get it!